Jason Hartman and his in-house economist Thomas begin today’s show by looking at how the tax reform is impacting home ownership across the country. Deductions that use to be highly favorable to many families have now become not as useful as the standard deduction was nearly doubled under the new law. This could cause some people to view purchasing a primary residence a bit differently. 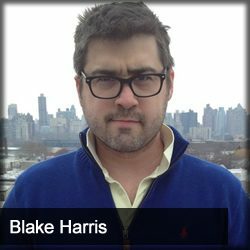 Then Jason talks with Blake Harris, NY Times best selling author of the new book The History of the Future: Oculus, Facebook & the Revolution That Swept Virtual Reality, about the impact technology is having on our lives and how virtual reality can (and currently can’t) fit into them as well. The two examine who the leaders are on the VR front, what price point you’re currently looking at versus how much it may cost in the future and more. [14:29] Is the Virtual Reality revolution over before it’s even really begun? [20:56] What is “affordable” for virtual reality equipment? [22:38] Oculus is the clear leader for now, but who’s coming behind them? [30:52] How much farther can virtual reality drive the retail apocalypse?